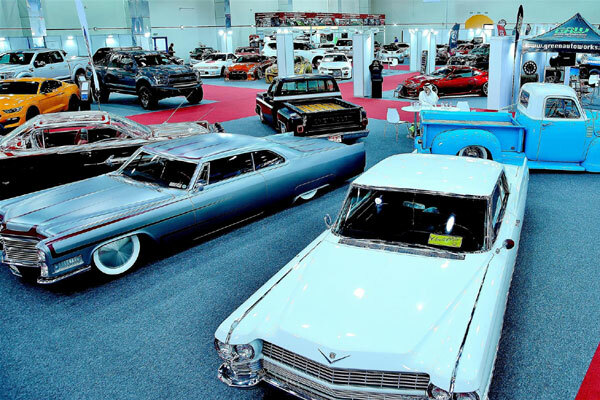 Ras Al Khaimah's first auto exhibition, RAK on Wheels, kicked off on February 27, with more than 31 local and international companies, clubs specialising in car races, selling, spare parts, and tuning & charging cars. Taking place at the RAK Exhibitions Centre, the opening day witnessed an amazing car show which attracted people’s attention and admiration. Sharjah Classic Cars Museum, Deals on Wheels and the RAK police, with their sports cars, are also participating in the event. More than 600 cars owned by companies and amateurs are expected to join the largest event for classic and modern cars show. Mohammed Ali Musabah Al Nuaimi, chairman of RAK Chamber, said: "The Exhibition Centre is keen to deliver what is the best for the visitors of the Auto Exhibition 2019." "The exhibition is going to witness more than 25 events dedicated for cars and will host the Emirates Drift Championship in its third and last tour, in addition to organising three car parades where hundreds of modern, classic and multi-purpose cars will be taking part all the way from Al Marjan Island to RAK Exhibition Centre," he said. Al Nuaimi added that a large theatre facing RAK Exhibition Centre, which can host 1,000 guests with VIP lounge, was built. The exhibition activities include competitions for classic cars, car accessory shows, limited-edition fully charged and tuned car show, vintage and classic cars, car packaging, car painting, exhaust welding, and remote sensing devices (RSD) remote car control, in addition to the car race shows of both modern SUV and classic cars. The exhibition includes other entertaining activities for all family members as well, he said.